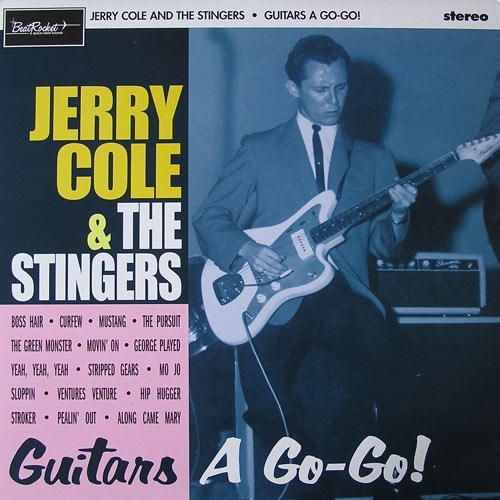 Los Angeles session guitar superman Jerry Cole worked with every bit name in the biz in the 1960s: Elvis Presley, Frank Sinatra, Ricky Nelson, Beach Boys, Byrds, Nancy Sinatra, Paul Revere & The Raiders. 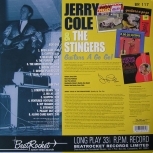 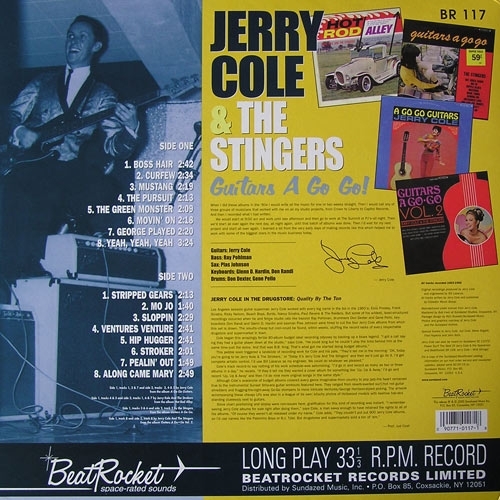 But some of his wildest, least-structured recordings occurred when he and fellow studio rats like bassist Ray Pohlman, drummers Don Dexter and Gene Pello, keyboardists Don Randi and Glenn D. Hardin and saxman Plas Johnson were hired to cut the four Jerry Cole albums from which this set is drawn! 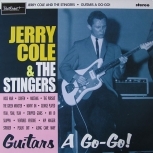 You'll say Yeah, Yeah, Yeah when your ears glom onto Jerry Cole's stinging '60s guitar sounds!